Royal Caribbean has announced its winter 2012-2013 sailings for Vision of the Seas, which will include itineraries that visit the Caribbean and Panama Canal. 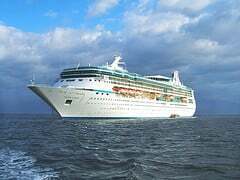 Vision of the Seas will offer 10 to 15 night itineraries out of Port Everglades, Florida. One special cruise will leave on December 24, 2012 and include stops in St Kitts, St. Lucia, Barbados, St. Vincent, Martinique and Royal Caribbean’s private island, Labadee. There are a number of options aboard Vision of the Seas including 10-night Eastern Caribbean sailings that will make calls at Tortola, St. Maarten, Dominica, Antigua, St. Kitts, St. Croix and Martinique, with an 11-night itinerary calling into Antigua, St. Lucia, Barbados, Grenada, Bonaire, Aruba, St. Kitts, Dominica and St. Vincent, a maiden port of call for the line. Two 14-night and two 15-night Panama Canal-transit sailings will also be offered, sailing from Port Everglades and San Diego respectively, along with two trans-Atlantic crossings sailing between Port Everglades and Southampton. The 14-night westbound voyage will depart on 21 September 2012 from Southampton, calling into Gijo, Vigo, Lisbon and Ponta Delgada with the 13-night eastbound trip sailing from Port Everglades on 17 April 2013 visiting Lisbon, Vigo and Normandy.